Carole Mahoney: Both of you sell large enterprise deals on a daily basis and so I wanted to get from you, almost straight from the horse's mouth, to share with some other salespeople the things that you've learned about enterprise deals and what it takes to actually make them happen. Mauricio, I'm going to start with you because I know that you've just closed the largest enterprise deal in your career. What was the number one thing that you learned going through that? Mauricio: I learned that during the sales process, it's very important to understand the areas that have to be involved in the process. Early on, start to map out how that process looks likes because they can tell you that their timeline is, say, six months. You want to double or triple that because with the evaluation process, the decision process, legal, and IT, it's just a bunch of areas and a bunch of stakeholders that need to get involved. So, the most important thing is mapping out and understanding the origin, their buying process. The second one is that you're going to have champions and you're going to have detractors along the way. Understand who can do what by when, and what people can be turned from detractors to champions. In my experience, I had IT be a detractor since day one and, little by little, we started to understand their point of view, and they ended up being a champion as well. Carole Mahoney: I think that's really important. One, is to know as soon as possible their timeline to get there, but there's an appropriate time to ask that. It's not the first conversation that you have. You first have to establish, do they have a problem that they want to solve and do they believe that you're going to be the best solution for that? And then finding out, okay, if you were to want to do this, what would need to happen? Who would need to be involved? Who knows the answer to this, and how do we get them involved? And, sooner, rather than later, because then you can find out from each of those people how long their process takes. So, when they say six months and it's actually eighteen, you can forecast that accurately, which is something leadership, I'm sure, will appreciate. Michael, you sell enterprise deals every day to large companies. What do you find, for some people, might be their biggest challenge? And how would you recommend they overcome that? Michael Douglas: As Mauricio was talking there, I was kind of reminded of something you've mentioned before, Carole, that how do you solve is how you sell. 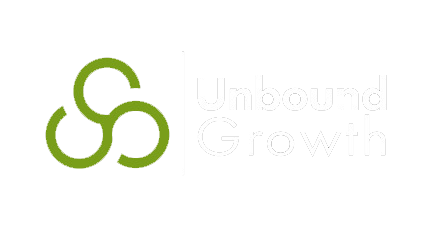 My biggest challenge is oftentimes, the business or the individuals that would actually be using the solution that you sell, we identify that there's problems and there's problems that are worth fixing and they trust us to be able to fix them. But, there's all these other parts of the organization that need to get involved and in gaining that consensus. So, even though that there's a lot of people that can say no, there's a few people that can say yes. So, I think it's important as salespeople, for the customer to see us solving that problem in front of them and putting all of these pieces together. I think that builds rapport and trust. 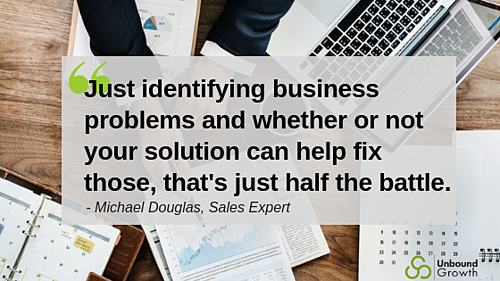 Just identifying business problems and whether or not your solution can help fix those, that's just half the battle. The other half is, how do we get all the other parts and pieces of that together to move forward on a consensus to do something. Carole Mahoney: Yeah. I think one thing that I took away most from our conversation with both of you was that, really, in an enterprise sale, the job of that salesperson is to really act as a leader to help build that consensus internally. Because, if they could do it themselves, they probably already would have. That's oftentimes why these larger enterprise complex deals takes so much longer is because, like you mentioned Mauricio, sometimes some departments feel like they're not being heard. A lot of times IT is making a lot of noise because they feel nobody is listening to them or actually considering everything that's going to be involved in making this change. So, they put up the roadblock until someone who has the empathy to say, "Look, I understand. This is a change, it's risky. But here's how this may help you and what other concerns do you have," it's going to move that forward a lot to turn detractors into champions. I just want to point out one quick thing. We also mentioned Deb Calvert's book, Stop Selling, Start Leading, because that's really the role of the enterprise salesperson today, is to be that leader. Thank you so much, both of you, for joining me on this recap. I'm hoping that other salespeople can learn from your experiences. Join us on the next Live Sales Lab!